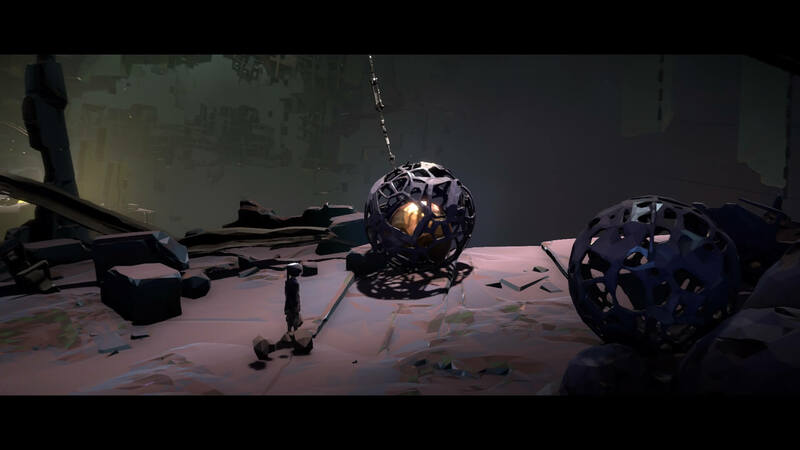 Vane has all of the elements I usually adore in games: a fully immersive experience with no HUD; a story told visually and wordlessly; a mysterious protagonist wandering a desolate landscape; environmental puzzles which require a bit of thought. 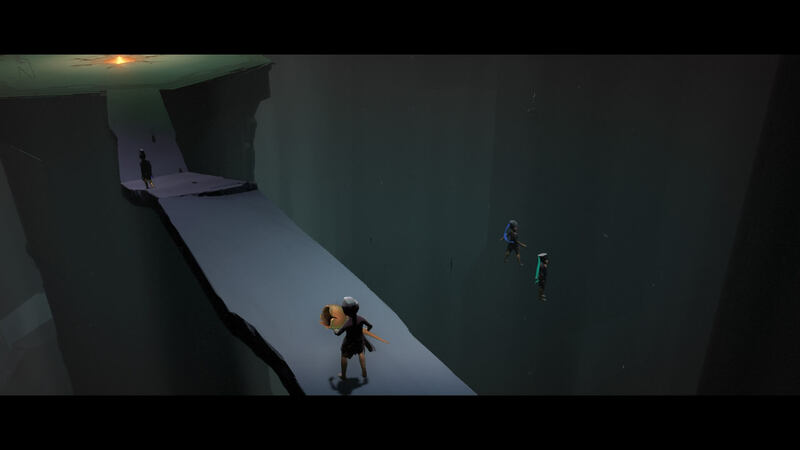 I felt like it might be another wonderful, memorable couple of hours, invoking the likes of Rime, Brothers and ICO.But in the end, Vane didn’t, couldn’t reach those heights due to the sheer number of issues it has, a potentially beautiful game crippled by technical woes. It starts off strongly. An unknown woman clutches something (a baby?) to her chest as she approaches a looming tower in the midst of a brutal storm. She entreats for entrance and is denied, before she and her charge are swept away in the wind. After that, you find yourself controlling a black bird in a desert. Why? Like much of the game’s sparse narrative, it’s unclear. 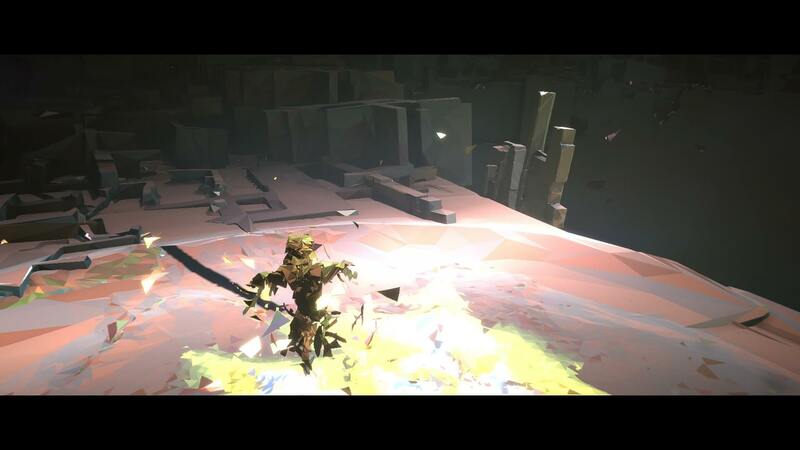 What quickly does become clear is that there are two things you can expect from Vane: a lack of clear answers, and a plethora of bugs. The desert is the first of four acts, each of which has its own challenge and goals. Your main task at the beginning is resisting the urge to hurl your controller across the room as you wrestle with your flapping avatar. The flight controls are inverted by default (though you can flip them) and you will spend some time hopping around on the ground uselessly as you try to work out how to launch into the air. While pushing down followed by X works when the controls are inverted, when they are set to normal — and you would assume that pushing up followed by X would be the natural mirror of this action — it doesn’t work that way. Given how key flight is to the first couple of sections, this lack of consistency in its control set is peculiar. Those two people on the right? They aren't meant to be there. I mentioned other bugs. Two minutes after flying around, I landed next to a vane (one of the sparkling elements that are signposted for you to interact with in the first act) and was greeted by another bird hovering two feet off the ground. This was the first of many bizarre issues I came across. Flying — when it works — really gives you a sense of scope of the desert beneath you. When it doesn’t work, the camera jerks all over the place; I flew around a bit and at one point somehow managed to see underneath the desert floor. It wasn’t texture clipping as much as texture carnage. At one point, after a break and a restart of the game, it simply refused to load again. Fortunately my save game did eventually start up after rebooting the PS4, but there was a moment I thought an uninstall was the only way forward. There is only one save slot, and checkpoints are taken infrequently (sometimes only at the start of an act), with no way of clearing that save from the title screen and only a chapter select becoming available after the game finishes. It’s remarkable how much the bad outweighs the good in every design decision — a theme which perpetuates throughout. If the tables were turned on the boulder in Raiders of the Lost Ark. Your sole purpose at the beginning is to activate a vane’s windsock by summoning birds to it, an action you need to repeat a few times. Finding the vanes is simple enough, once you’ve battled with the controls for long enough, and soon you’re introduced to a new mechanic: the ability to turn into a child when you touch a glowing golden substance. It looks fantastic. But as the cutscene ushered me on, I realised it was a gimmick which is wheeled out for the next act, before being discarded with no indication of its purpose. 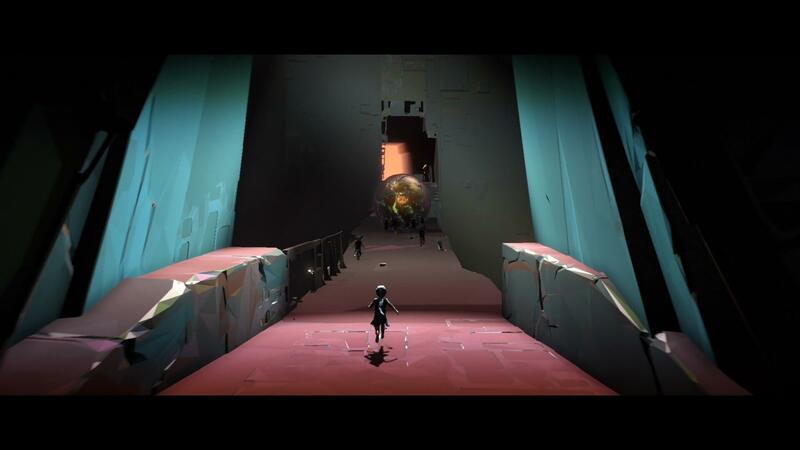 Though the dark cavern in which you use this skill is likely to prompt echoes of ICO and The Last Guardian, it offers little in the way of reward for progress. Caged birds need to be freed, golden orbs need to be manipulated to places where you can use their transformative abilities to flit from bird to child, and platforms need to be navigated to on wings and feet to reach your destination. Flinging yourself off a ledge will turn you into a bird again, a welcome move which negates any worry of dying and offers you the freedom to explore. Unfortunately, the gloom of the cave is painted in blacks, greys and murky browns, to the point where I actually needed to double my TV’s brightness to see where I could and couldn’t walk or fly to. Platforming is, on the whole, awful. There is no weight to your character and, like The Last Guardian, he will fall off small blocks and big stones with equal ease. The puzzles themselves are occasionally interesting enough to keep you going, though not challenging themselves as much as the mechanics you need to wrestle to solve them. And again, while there were times where I had a good five minutes of gameplay, something janky would inevitably jar me out of the theatrics in which Vane tries so hard to immerse you. The transformation animations are great but visual quality varies wildly. Of the game’s main four acts, each offers something a little different, all set to a series of Vangelis-like synth tracks. One sees you rolling a magical ball through a series of ruins, harnessing the sound of other children’s song to power it. Another tests you with a visually impressive tower ascent where the next pathway you must reach phases through reality, a deliberately glitching series of protrusions from the tower wall blinking in and out of existence as your feet hit them. Moments like this suggest a glimpse of what Vane could have been if more time had been spent on smoothing out its bugs. Instead, like the events that come before them, they offer a few bright notes which are overwhelmed by the murk of technical problems. Push it. Just don't ask why it's there. By the time Vane reached its finale, I felt exhausted and empty. Friend & Foe is an independent studio made up of ex-staff from the likes of Team Ico, and The Last Guardian and its ilk are clearly a reference point. But even that game, as buggy, frustrating and overlong as it was after languishing in development hell for years, had something of a soul. 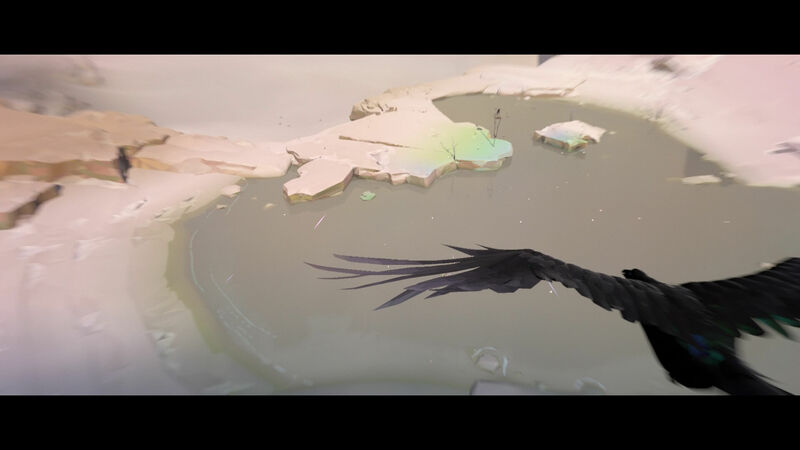 Vane feels like an art project formed of four separate sections, mashed together to try and create a semblance of a story. Yet it forgets that metaphor alone is useless in a narrative when the player has no investment in its protagonist. Gris suffered similarly in this respect, but at least its platforming and design were tightly honed to make the experience an enjoyable one. Vane’s is not.